We’ve started a 4 week pilot of our V5C on Demand service. This follows many customer insight, stakeholder engagement and third party liaison sessions. If your company is registered on DVLA’s fleet scheme you can take part. Over the coming weeks new companies will be added to the scheme. Companies who’ve volunteered will have their V5C registration certificate suppressed, as you can view the vehicle details via our View Vehicle Record (VVR) enquiry service. When you buy brand new vehicles a marker is set against your fleet code when the dealer registers the vehicle via our Automated First Registration and Licensing (AFRL) system. To find out more about the pilot BVRLA have asked us to present at one of their webinars. The webinar will take place on Tuesday 8 September between 2.15pm - 2.45pm. VVR users and BVRLA members are invited to participate. It’s a great opportunity to find out more, and put forward questions you may have about the pilot. When MC Rental heard about the V5C suppression project we were keen to take part due to the potential benefits. When approached by the DVLA to pilot the scheme we were more than happy to assist for the system to become useable to us as quickly as possible. As our fleet has grown significantly in recent years so has our administration activity. The time, cost and storage capacity savings were all key elements in our decision. 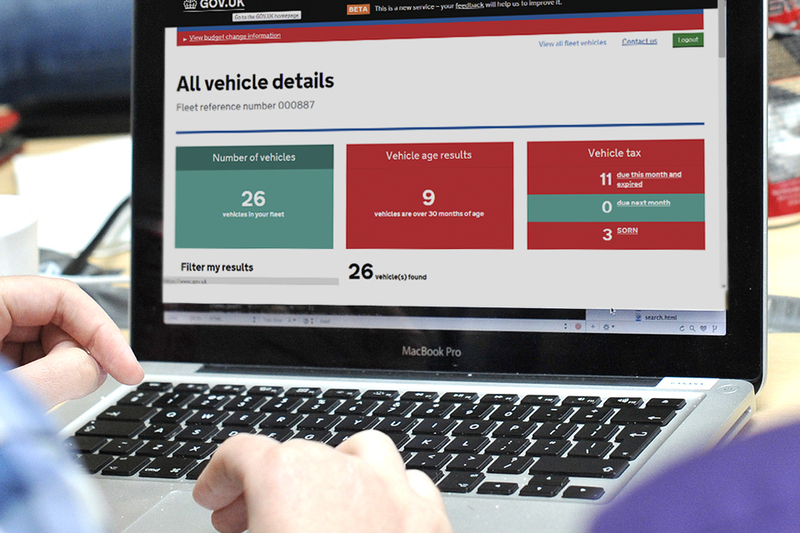 Alongside the VVR enquiry service we can now see our fleet details in a much more manageable and effective way. As a dynamic, forward-thinking company we are always looking for new advancements. The efficiencies offered by this, particularly in reduced administration time can be transferred into offering our customers an even better service. We believe the resources we have invested in piloting this scheme in the short term will be outweighed by the long term benefits to ourselves and therefore our customers. If you want to know more about the V5C on Demand pilot you can email V5Ondemand@dvla.gsi.gov.uk for more information.